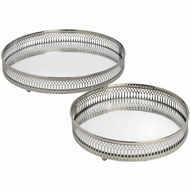 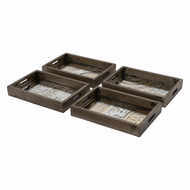 This set of two large trays would make a welcome and stylish addition to any home. 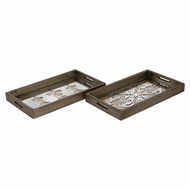 Made from timber and hand painted in an antique metallic finish and distressed glass, the Large Set Of Two Wooden Glass Trays With A Gold Fleur De Lis add an element of luxury and grandeur in any interior. 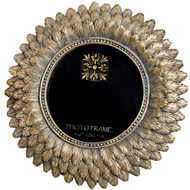 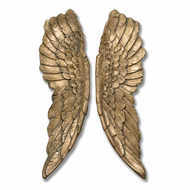 The intricate gold detailing included on the tray tops make these items unique and timeless classics.